n a little provision which made many marijuana advocates rejoice. States that have legalized marijuana for medicinal purposes will no longer have to worry about federal raids on their operations. The Obama Administration has made it part of their policy, although unofficially, to neither indict nor raid dispensaries and growers of medicinal marijuana. While this is encouraging, it is a tenuous hope at best. Just because the Obama Administration has not made it a priority and put focus on other issues within the nation does not mean that a future administration could reverse course and begin a hunt to take on the medical marijuana movement. Since the “War on Drugs” began back in the 1970’s the United States has spent more money fighting this than any other moral social expenditure. We have created a system of imprisoning more people than all other nations on the planet – combined! The vast majority of our prisoners are in jail due to the harsh sentences imposed by the “war on drugs.” In fact, 1 in 8 prisoners is in prison because of marijuana. And the disparity between blacks and whites receiving sentences for marijuana is also sadly depressing. But Congress may have finally begun a stage of waking up from decades of failed policy. As stated above, tucked in the newest budgetary act, Congress approved a measure to legalize all the creation, distribution, sales, possession, and use of medicinal marijuana. All 50 states are affected by this measure. This does not mean that medicinal marijuana is effective immediately in every state. The states must first ratify at their own legislature the passage of medicinal marijuana in order for the process to begin. Currently, there are 32 states that have medicinal marijuana approved. The remaining 18 states need to realize it’s time to catch up and put this horrible legacy of imprisoning our population behind us. This brings to light a problem plaguing combat veterans suffering from PTSD. 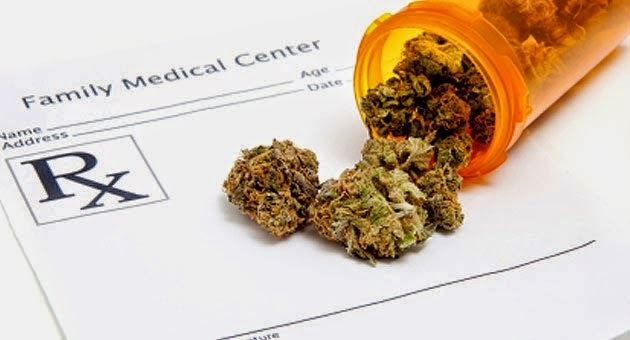 Many of them have been given prescriptions by the Veteran’s Administration and receive medicinal marijuana in states that have measures legalizing it for medicinal purposes. Will this now extend the medical practice to any of those 18 states who have yet to see the light? That is another question that could set a precedent for speeding up the process to making this the non-issue it always should have been.